Will my children tell whole stories? beyond the scars and faults? 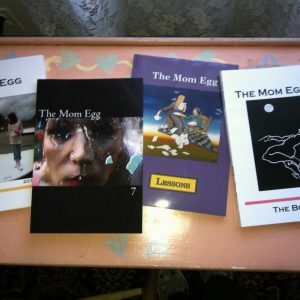 to be a mother again. 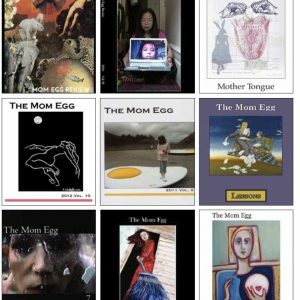 This book of unedited, raw writings grew from our blog dedicated to the writings by Vermont’s incarcerated women. For five years we have held weekly writing circles inside. For five years, women have found solace, strength and motivation from the structured community space we hold for them with safety, respect and acceptance. Several public readings have shown, over and over, how little those of us on the ‘outside’ truly understand that any one of those women ‘inside’ could be us, a daughter, mother, family member or friend. We all make poor choices from time to time. Most of us never get caught. But for those women raised in generations of poverty, addiction and abuse, the possible ways out are few. And once inside, the commonalities we all share as women are far more starkly apparent than differences. 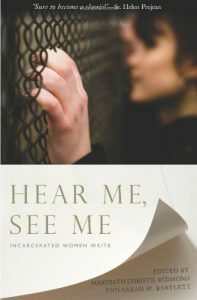 HEAR ME, SEE ME: Incarcerated Women Write, ed Marybeth C Redmond and Sarah W Bartlett, Orbis Books, 2013 is available at Orbis Books and Amazon.